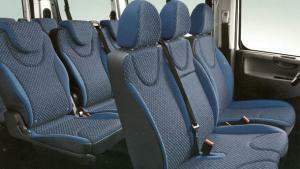 When seven seats aren't enough consider our spacious options in 9 seater vehicles. If you are planning to take a family trip or a group vacation and you need a little more space that what is offered by a 7 seater car, consider booking one of our 9 seater car rentals. 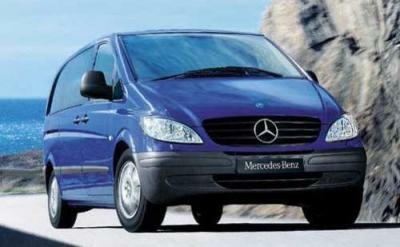 Nine seater car rentals are now available in many popular tourist locations and major cities around the world. Now when your road leads to London, Madrid, Paris, Rome, Amsterdam, or Barcelona, getting there can be much easier for group ground transportation when you select a 9 seater rental car. Save yourself time and trouble. Keep your entire group of up to 9 adults together with room to bring luggage or equipment, and benefit from only having to rent, fuel, insure, and park one vehicle. Savvy travelers know how to save on their rental and get the best prices available by booking their 9 seater car online. Considering the alternatives for big groups, such as the cost of renting two separate vehicles to transport your group around your destination city. In addition to splitting your group and the cost of two rentals, there is the cost of fueling and parking two vehicles. In some major cities parking can be expensive and is a budget consideration all its own. Browse our site and see what's available. 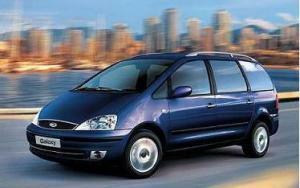 Multi passenger vehicles of today are not the old mini-vans you may be accustomed to. Although you may be traveling with what feels like a bus-load, with today's 9 seater vehicles you don't have to sacrifice comfort, maneuverability, or style.